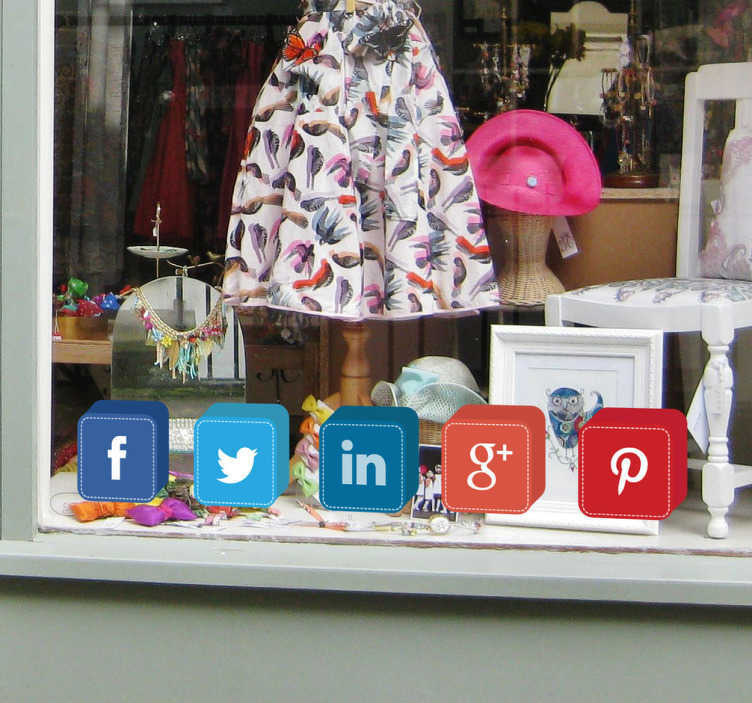 Social media stickers for shop windows perfect for showing your customers that your business is online as well as in store. Use these colourful square stickers to advertise your business in your shop front, featuring Facebook, Twitter, LinkedIn, Google+ and Pinterest! This border sticker is sure to catch the eyes of the public and increase sales!